The collection of experiences at Universal Studios Hollywood, just up the hill from Tinseltown, is so much more than a theme park. With attractions influenced by popular movies and shows and studio tours that can take guests through film and television sets, Universal Studios Hollywood gives access to how the industry works — and that's before you even get to the rides. Sure, Los Angeles has the beach, mountains, and plenty of museums, but it's also where you can fly on a broom alongside Harry Potter, take an adventure with Homer Simpson, and hug a Minion in real life. 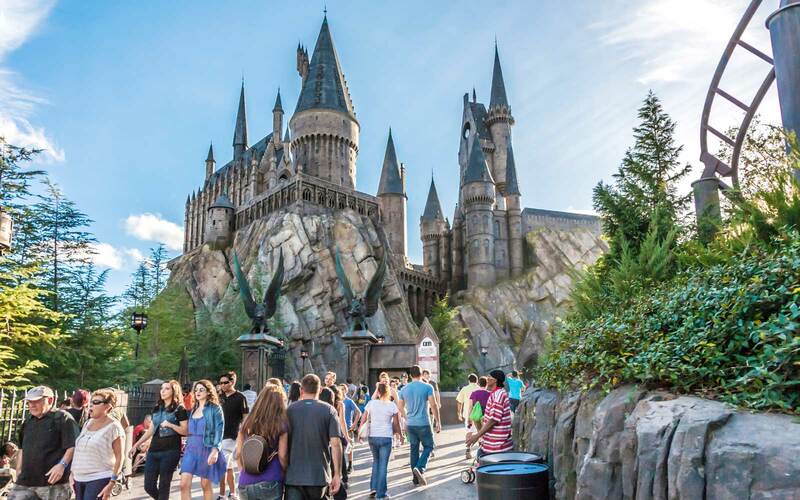 Here’s why you'll want to consider a trip to Universal Studios Hollywood on your next visit to the West Coast. Universal Studios Hollywood is all about movie magic. 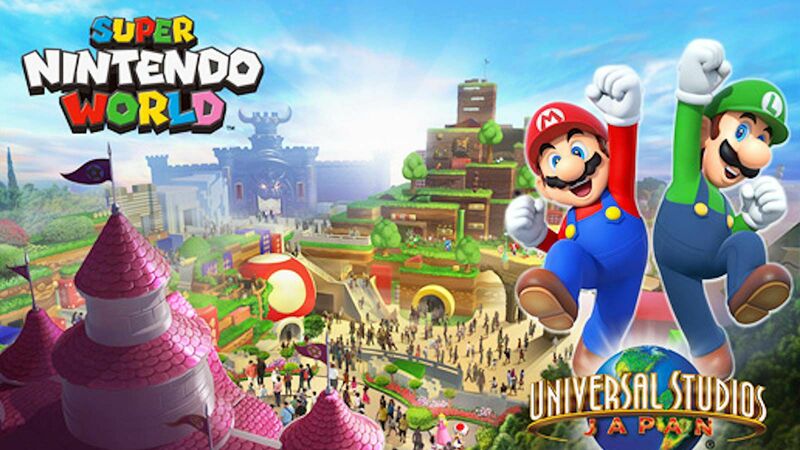 Its attractions, shows and experiences even feature familiar characters and storylines, placing you directly inside the world of your favorite movies and TV shows. Don’t waste time on a studio tour elsewhere, as Universal Studios includes one of the best, with extra experiences you won’t find on a standard Hollywood movie lot. Some of Universal Studios Hollywood’s best attractions feature mini-lands with themed dining, shopping and character meet-and-greets. The Simpsons Ride brings some of Springfield’s finest establishments to life with a real Krusty Burger — which, naturally, serves The Clogger — as well as Lard Lad Donuts’s pink iced specialties and Duff Beer for sale at Moe’s Tavern. The Simpsons themselves even make appearances outside the Kwik-E-Mart! Minions fans will adore the Despicable Me Minion Mayhem ride, which shrinks guests down to the size of the banana-obsessed creatures. Families can enjoy the Super Silly Fun Land water play area and spinner ride, enjoy Minion-themed treats or snap photos with Gru, his girls and the Minions by the ride’s entrance. The magical town of Hogsmeade and Hogwarts Castle come alive at Universal Studios Hollywood’s Wizarding World of Harry Potter as well, with two attractions: a Flight of the Hippogriff family roller coaster and Harry Potter and the Forbidden Journey, a fantastically immersive ride located inside the wizarding school. Fans will enjoy the detailed queue throughout Hogwarts’ mystical corridors, which takes them to Dumbledore’s office, inside classrooms and face-to-face with talking portraits, but nothing compares to the familiar sights within Hogsmeade. Here, muggles and wizards alike can dine at Three Broomsticks restaurant, sip a Butterbeer at Hog’s Head Pub and enjoy candy at Honeydukes or the enchanted pairing ceremony at Ollivanders wand shop. 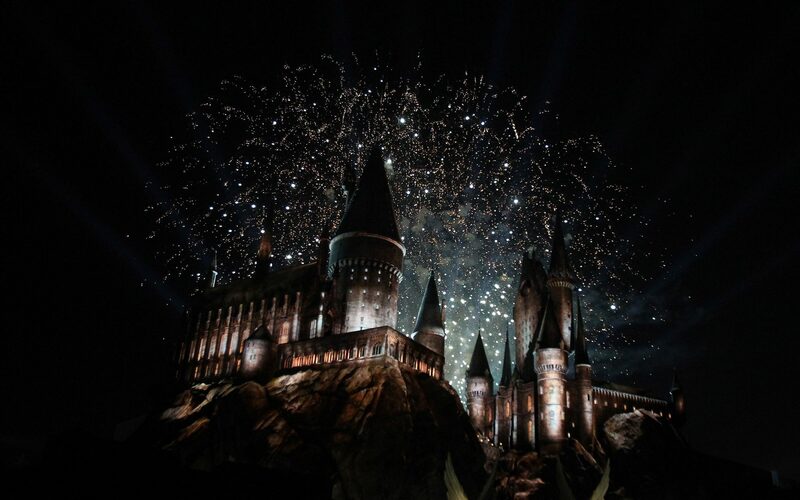 The Wizarding World of Harry Potter will even illuminate at night with a state-of-the-art projection show on Hogwarts castle, bringing the magic of the four houses to life. Come Christmas, it’ll be even more spectacular, as the park welcomes holiday festivities for the first time. 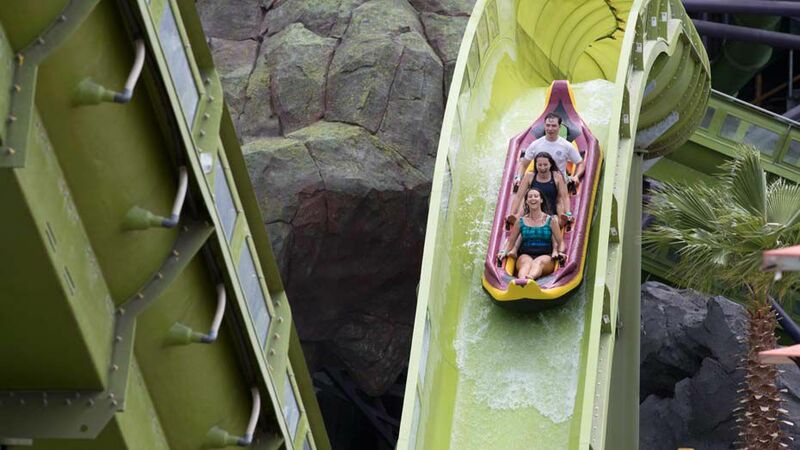 Many of Universal Studios’ rides are high-energy, with Transformers: The Ride 3-D putting guests into battle alongside Optimus Prime, Jurassic Park — The Ride offering a stellar drop and Revenge Of The Mummy — The Ride plunging into darkness as the park’s sole roller coaster. 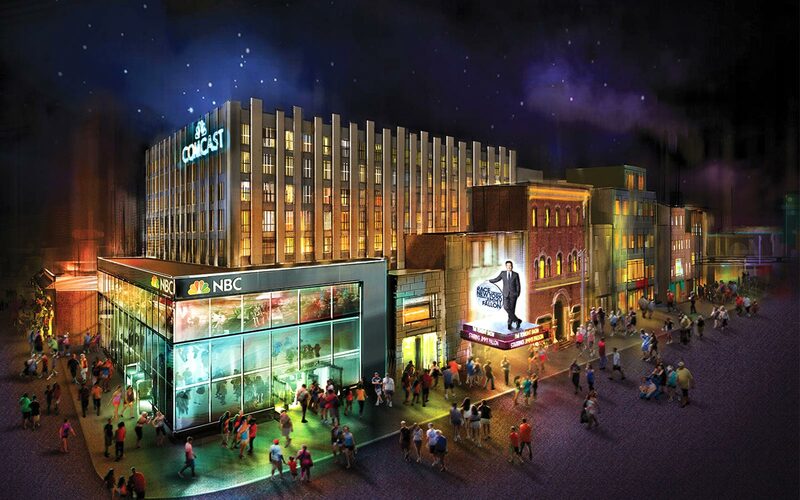 There’s also The Walking Dead attraction, a walk-through maze with appearances by the undead and a Shrek 4-D interactive theatre show that’s soon to become a DreamWorks Theatre attraction. Most noteworthy, though, is the Studio Tour. Universal Studios Hollywood is the only park that offers a visit to an actual working studio with its park admission.The tram tour passes soundstages and sets from movies like “War of the Worlds” and even features live-action surprises. It’s also the only way to experience Fast & Furious — Supercharged and King Kong 360 3-D, two attractions where the tram transforms into a ride vehicle. The Los Angeles theme park also hosts plenty of staged entertainment. 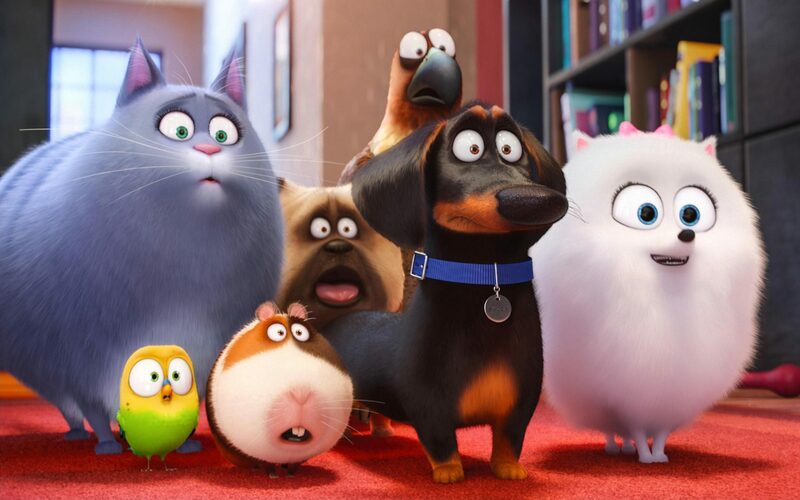 The Special Effects Show dives into how movies are made, Universal’s Animal Actors focuses on the most cuddly co-stars, and WaterWorld is a can’t-miss stunt-show. Universal Studios Hollywood uses dynamic pricing, which means they cost different depending on the day of the week, and cost less if purchased online. For an extra fee, guests can purchase a Front of Line experience, which allows them to “skip the line” on each Universal Studios Hollywood attraction one time, making a day trip more efficient. For guests truly looking to make the most out of their visit, Universal’s VIP Experience offers an extensive tour through real working sets, sound stages and prop rooms on the Universal Studios lot. The upgrade also includes breakfast, exclusive access to the park’s Moulin Rouge restaurant for complimentary lunch and unlimited Front of Line privileges for Universal Studios attractions and shows for the day, meaning you’ll never wait in line to get an adrenaline rush. 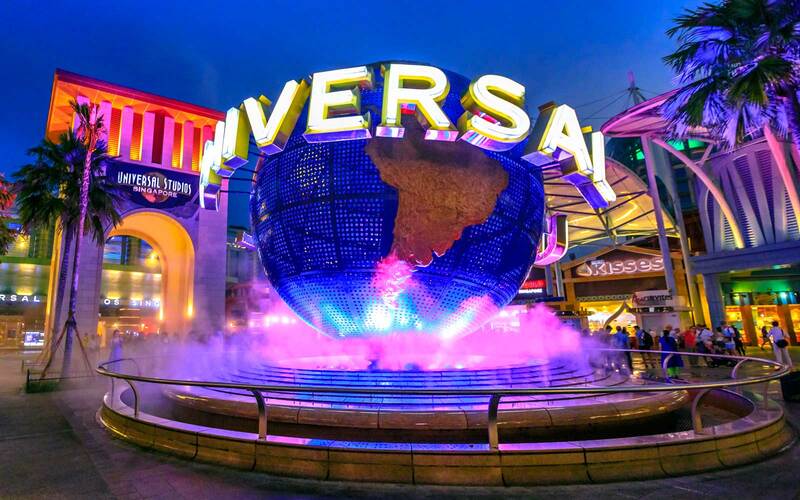 Guests must travel through CityWalk to reach Universal Studios Hollywood, an open-air collection of shops, restaurants and attractions that has recently undergone enhancements. The brand-new Universal Cinema is a state-of-the-art theatre, and new dining offerings like Dongpo Kitchen’s Sichuanese dishes, LudoBird’s fried chicken sandwiches and delightfully strange desserts served at Portland’s Voodoo Donuts make it worthy of a stop on the way in or out. 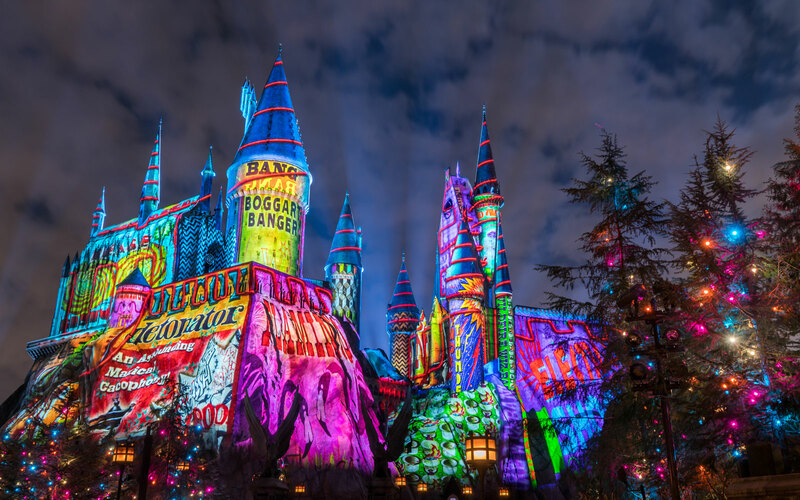 Universal Studios Hollywood offers special holiday events, but none are more popular than Halloween Horror Nights, intended to both frighten and delight. Hosted on select nights in September, October and November, the ticketed evening scare-a-thon features haunted mazes and scare zones themed to iconic villains and terror-inducing characters from cult horror films and television shows.